An event to event discussion of the Harry Potter books by JK Rowling. If you're looking for a laid back, no frills discussion of your favorite fantasy series, you're about to listen to the right thing. "You bought that monster?" said Ron, his mouth hanging open. "He's gorgeous, isn't he?" 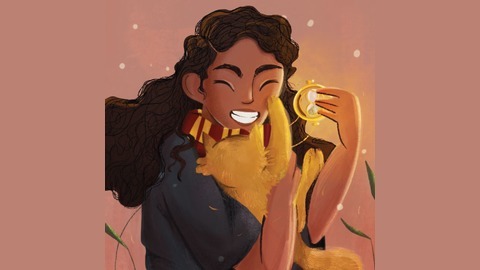 said Hermione, glowing. Chapter 4: The Leaky Cauldron (Till when - dun dun dun - Hermione gets a cat). You can also listen to this podcast on iTunes, Google Podcast, or any other favorite podcast app. Just search for Mimblewimble - The Harry Potter Podcast. A lot of things happen in these chapters so buckle up. Harry’s spending some time on his lonesome because it’s the summer and he’s stuck at the Dursleys. In fact, he’s so bored he’s doing homework in the middle of the night even though it’s the night before his birthday. Thankfully, he’s interrupted by some presents from everyone’s favorite best friends, a biting book and a letter from Hogwarts assuring him that he did not imagine everything that happened over the last couple of years. However, the Dursleys, determined to one up themselves from the previous year, ruin Harry’s birthday by letting him know that Aunt Marge, Uncle Vernon’s sister, is due to visit for a week, complete with awful dog. Harry tries to make the best of it by resourcefully striking up a bargain with Uncle Vernon (a signature letting him go to Hogsmeade on select weekends in exchange for good behavior). However, and for very good reasons, he is unable to hold up his end of the bargain and ends up blowing up his aunt. Taking advantage of the chaos, Harry packs up his bags and storms out, ready to face the unknown and expulsion rather than continue staying with the Dursleys. He gets a fright, thanks to a dark looming shape, but is saved by an unlikely purple Knight (Bus). He catches a ride to The Leaky Cauldron and up on the events in the wizarding world since the end of his previous school year. Turns out the notorious mass murderer on the loose is actually a wizard (Who’d have thunk?) When he arrives at the Leaky Cauldron, he’s surprised to discover that the Minister of Magic is waiting for him - not to arrest or expel him but just to let him know that everything’s been taken care of and the Dursleys will have him back next summer. In fact, things get curioser and curioser because the Minister actually rewards him for blowing up his (not) aunt by letting him stay at The Leaky Cauldron for the duration of the summer. Harry has the time of his life exploring Diagon Alley, meeting his classmates, buying his back-to-school stuff and books, writing his assignments in broad daylight (this is really sad even if he has homework about magic) and eating free sundaes. Just a day before he has to head to King’s Cross to catch the train, he runs into Hermione and Ron. 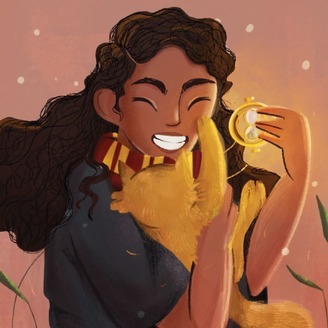 They catch up with each other and when the plot needs to move, Hermione decides to buy herself a pet. Harry and Ron accompany her to Magical Menagerie where Scabbers (Ron’s rat) nearly gets attacked by a small tiger or a big cat….and Hermione buys his attacker. Welcome back! Please let us know all your theories, comments, and wishes by either commenting on our website or writing to us at mimblewimblepodcast@gmail.com. We also love fanart, comics and fanfiction so really, send everything our way. We would also like to note that we’ve really missed this. And you. This season is really really exciting and we’re excited to have you here, with us.